If you are planning to build a new home, remodel your kitchen, or add a family room allow us to be your building contractor. Located in Mishawaka, Indiana, Hoerstman General Contracting, Inc. is a full-service building contractor specializing in custom new homes, room additions, and remodeling. Our in-house design team can bring your ideas to reality and help you visualize what the finished project will look like before the work begins. When choosing the right building contractor you can count on us to bring quality craftsmanship to every job and we will work with you every step of the way to make sure you are completely satisfied. 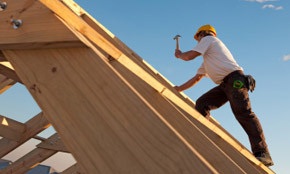 Our professional carpenters will make sure that every detail is completed to your satisfaction by providing you with outstanding service, from design to completion. And our subcontractors and vendors share our same standards of quality and integrity. We have developed lasting relationships with them and our teamwork attitude and communication continues to be our key to success in bringing desirable results to every project. We are proud of our reputation and continually make every effort to produce quality workmanship that we stand behind. We use our knowledge and understanding of the building process which allows us to successfully supervise all stages of construction. Since 1977, we have been serving Northern Indiana and Southern Michigan as a residential and commercial building contractor. We will custom design and build the project of your dreams for you to enjoy for years to come. We will work with you every step of the way during your building project to make sure you are completely satisfied. 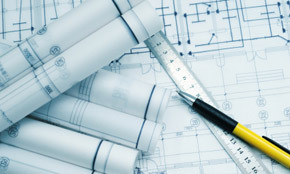 Contact us today, we look forward to talking with you about your custom new home, room addition or remodeling project.